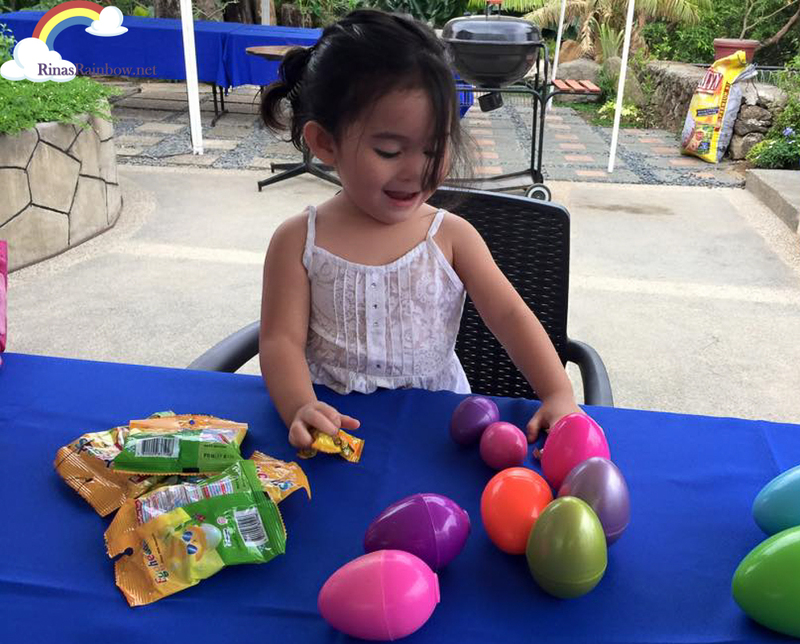 Rina's Rainbow: A List of Fun Easter Sunday Happenings for the Family this 2016! 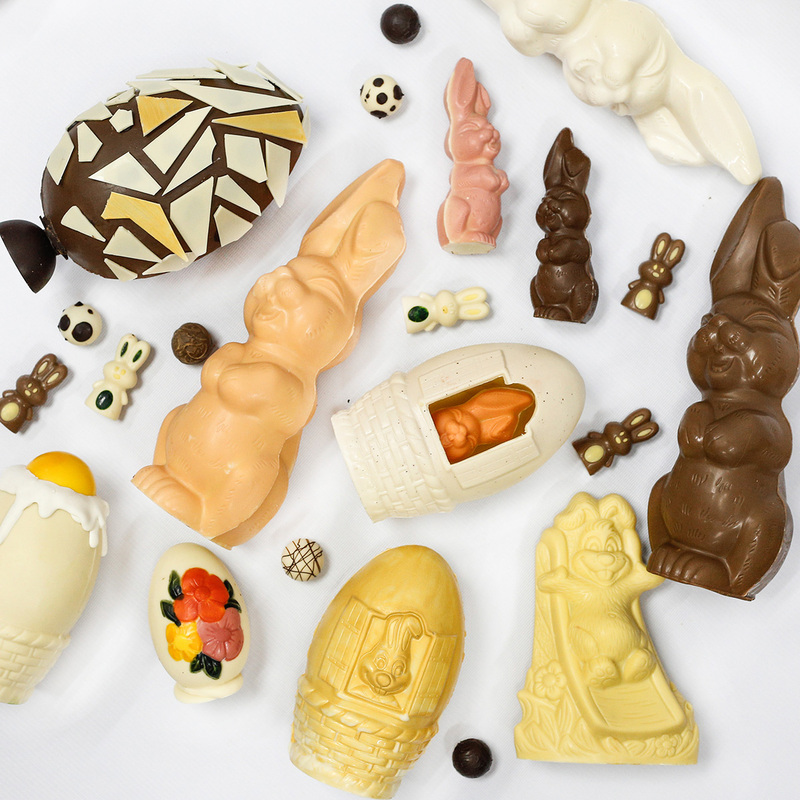 Have a sugar-filled Easter Adventure at F1 Hotel! Wear a colorful ensemble and head on to F1 Hotel's Infinity Ballroom! Activities: Glitter Tattoo, Donut Decorating, Egg Painting, Loot Bags, Balloon Twisting, Games, Complimentary Treats, and more. A traditional Easter Egg Hunt is also set at the F1 Candyland. Glam up and put your rainbow colors on as the best dressed will be surely in for a treat! Price: Php 968 nett per person inclusive of brunch buffet. For ticket reservations, call (02) 928-8888. Complimentary access to the Health Club, Aqua Play, and the Cub and Cubbies Kiddie Program. And for the Minion party, see details below! Where: Edsa Shangri-La, Manila’s Isla Grand Ballroom. Tickets: Php2,000 net per person. Will be sold at the Events Lounge, everyday from 9 a.m. to 6 p.m.
Activities: Easter egg hunt, film-viewing, activity booths highlighting cupcake decorating, kiddie salon, face painting, coloring activities, a whimsical kiddie show and more. 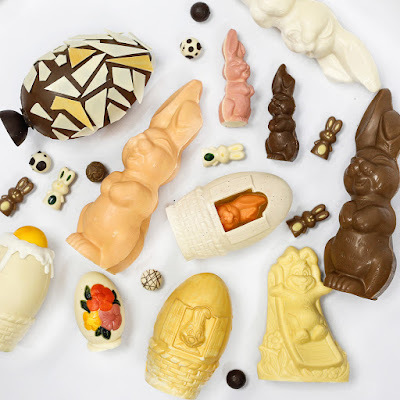 Also, bite into the chocolatey goodness of fascinating finds with Edsa Shangri-La, Manila’s Easter treats! 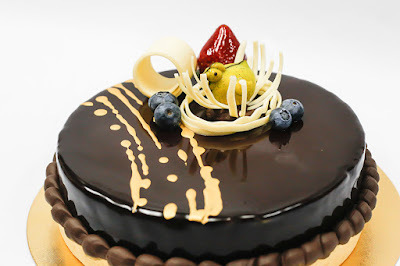 Super moist chocolate cake for only Php 1,200.00 each. Individual Easter cakes are also available for only Php 220.00 each. For inquiries, please email events.esl@shangri-la.com or call 633 8888. 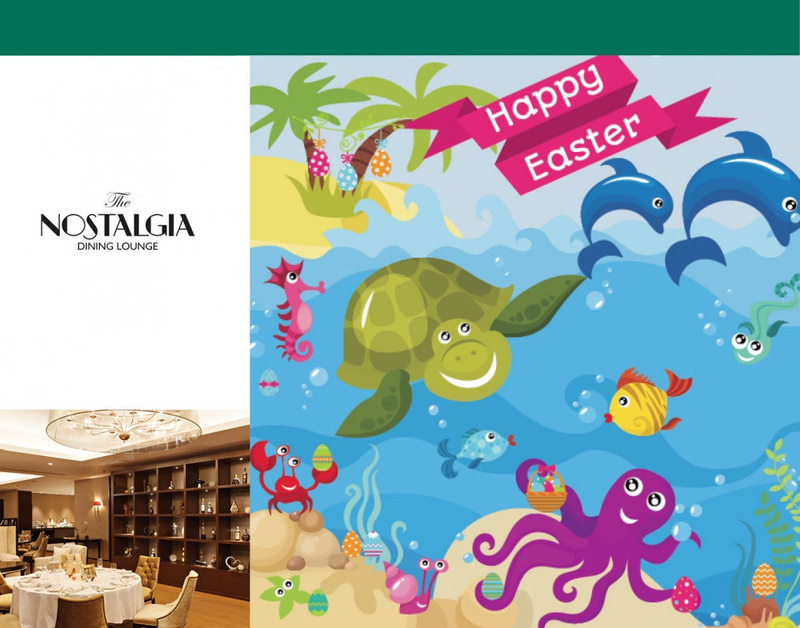 Get ready to make waves of fun at The Nostalgia Dining Lounge’s Under the Sea themed Easter lunch buffet with egg-citing games, fun-tastic activities and an Easter egg hunt for your little ones! A wide array of mouthwatering dishes from our pasta and grill stations, and at the carving station, the delectable rib-eye, and more sumptuous hot item selections. Also, have a lovely Easter staycation with family and friends at Oakwood Premier for as low as PHP 5,000 nett for a Studio Executive! Join Rafa Rabbit for an exciting Grand Easter Holiday staycation from March 18 to 27! PLUS, A RAFFLE!!! Every booking gets a chance to win a 3D2N stay in Shangri-La's Mactan Resort & Spa! For more information and reservations, call (63 2) 813 8888 or email reservations.slm@shangri-la.com. This coming Holy Week, relax and recharge with Holiday Inn Manila Galleria’s Stay Enlightened promo, and a Mad Hatter Easter Tea Party! For Php3,000++ , enjoy a relaxing night in a specious Deluxe room of Holiday Inn, inclusive of a buffet breakfast for two and complimentary internet. Another option is Holiday Inn's Php4,300 nett package inclusive of 1 ticket (admits 1 adult and 1 child) to the Mad Hatter’s Easter Party on March 27. This package is available for booking until March 27 for stay dates on March 19 to March 27, 2016. Have an EGGstravagant Easter with a VIKING-tastic gathering of super cool dragon riders at The Bellevue Manila! Activities: Exciting egg hunts, sumptuous treats and amazing prizes await! For tickets, visit The Bellevue Manila or call (+632) 771-8181. Hop on over for an eggs-traordinary Easter experience with The Discovery Leisure Company’s Hunt for the Golden Egg. Whether you’re in Boracay, Palawan, Makati, Ortigas or Tagaytay, you get the chance to win a stay at Discovery’s hotels and resorts when you join our exciting Easter activities. Have an egg-citing Easter at Taal Vista the beautiful view of the famous Taal Volcano! Dibo fans will be delighted to hear about Novotel Manila Araneta Center's Easter Egg Hunt with Dibo the Gift Dragon! Activities: yummy food, meet & greet with Dibo & Friends, fun activities with Dibo & Friends and Easter egg hunt! Fun surprises and treats await kids and kids at heart! You can also avail of their Easter accommodation package for Php 5,500.00 nett per room per night, in a Superior Room with complimentary breakfast buffet at Food Exchange Manila for two adults and two children (Ages 15 years and below! Whaaaaat?! Nice!!!). Packages for Executive Rooms and Suites also available, which provide guests complimentary access to the Premier Lounge on the 24th Floor. Book this package from March 20 to 27 and get as much as 15% off on tickets to join our Easter Egg Hunt with the lovable Dibo the Gift Dragon! For inquiries and reservations, please call 990 7888 or visit bit.ly/NovotelManila-AranetaCenter. You may also visit www.ticketworld.com.ph or www.ticketnet.com.ph for tickets. 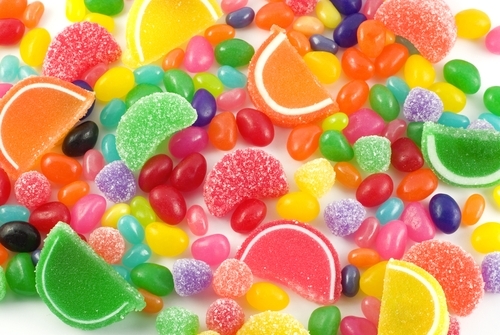 This specific exciting Easter Candy land can be together with Widespread Robina, Kettle Corn, Exciting Rnch, along with Regent Food. Little ones old a pair of (only two) along with underneath are no cost. Person pets along with guardians are generally recharged in entire priced price tag.